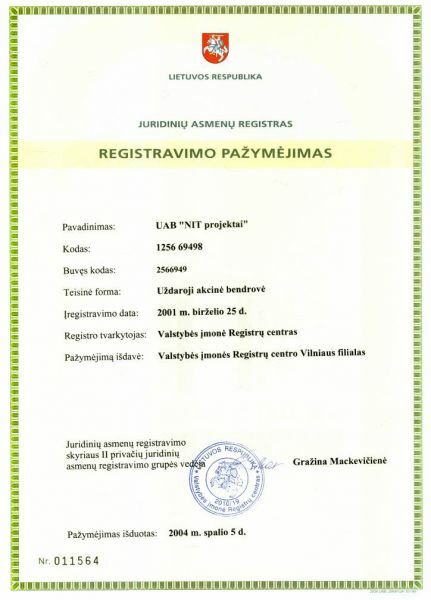 Individual enterprise “Gelmių vanduo” was founded on 26 June, 2001. Its main activities included the design of engineering systems and consulting related to them. 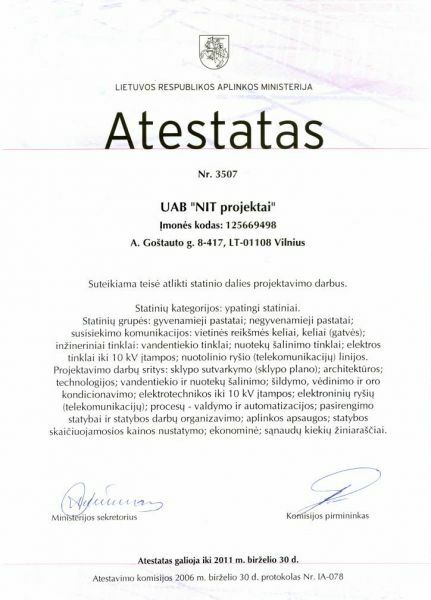 The company successfully acted, developed and on 23 December, 2003 it was reorganized into UAB “NiT Projektai” which carried out the same work. The staff of the company consists of the experienced and certified project manager, who monitors overall design project works for different construction sectors as well as experienced engineers who are certified to design different purpose or special importance buildings . Enterprise has all the necessary permits, certificates and other documents which permit to carry out engineering design works.